Find out when and where you can attend a Health Professions workshop by visiting www.cougsync.wsu.edu! This intense workshop will help get you focused and ready for what it takes to be a pre-health student. Learn how to start becoming a competitive applicant for your health professions program! *Mandatory for all incoming pre-health students!!! Pre-Health Boot Camp is offered once at the beginning of Fall semester and once at the beginning of Spring semester. If it’s your first semester at WSU and you are Pre-Health, you are required to attend this workshop. Students learn how to go about gaining shadowing, volunteer, community service, and leadership experience necessary for professional school. The goal of this workshop is to inform students where to look for opportunities (at WSU and in their home town) and how to professionally request professional shadowing experience. The Gaining Experience Workshop is offered once a month. Appropriate for any pre-health student, but generally attended by 1st and 2nd years. 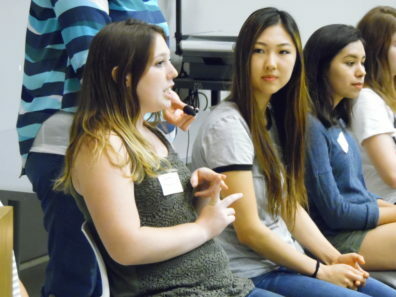 Students learn what the GRE is all about. We discuss how/when to register, strategies for taking the test, and resources for studying. 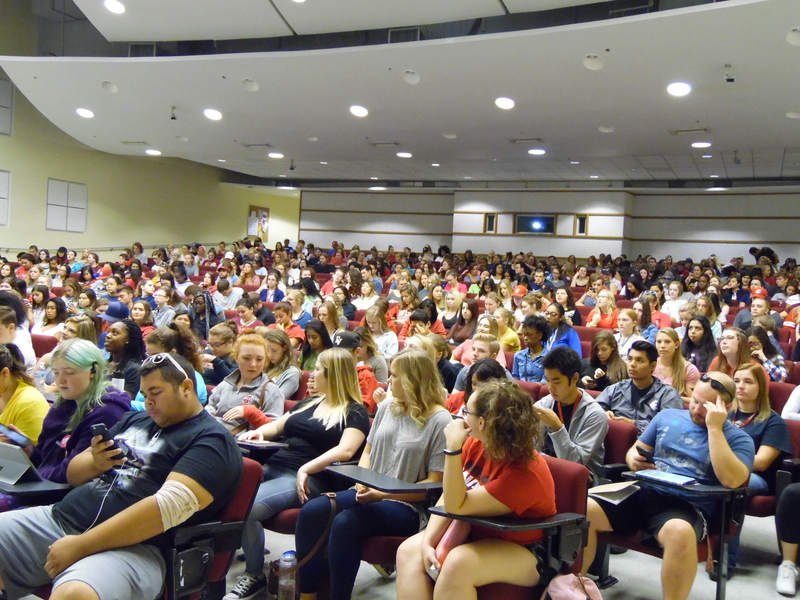 The goal of this meeting is to give students all the information they need to sign up and begin studying. The GRE Workshop is offered once per month every semester. Appropriate for second semester sophomores, juniors, and seniors who will apply to programs that require the GRE. Learn the expectations of dress, speech and protocol when invited to interview for a professional health program in the US. Should attend this basic information workshop prior to attending Small Group Interviews or MMI’s. Interview Basics is offered once a month. Don’t wait to be invited for an interview before you attend this – great for any junior or senior to attend. Examples of bad, good, and outstanding letters of recommendation written by faculty. How to cultivate outstanding letters from your recommenders. Learn how the new paperless protocol works, having evolved to an evaluation rather than a letter of recommendation. If you are applying to any professional school this year, attend this workshop! Or, if you are a freshman, sophomore or junior, you will want to have this big heads-up. Appropriate for all pre-health areas. Are you applying for professional school this cycle? Don’t wait to be invited for an interview to start practicing! The MMI is an interviewing technique that is quickly catching on across the country. Practice makes perfect. The workshop will provide a short overview of the MMI platform and its purpose, describe the types of questions often asked in this interview format and discuss the common mistakes participants make. Following a brief presentation, students will participate in a mock MMI and then receive individualized feedback and notes on their performance. Limited to 6 students per MMI. We suggest that you take our Interview Basics Workshop before attending an MMI Workshop. Are you applying to health professional programs soon? In this interactive workshop, you will learn about the purpose of the personal statement and how to write an engaging and effective essay. The presenter will also review common mistakes made when writing. Please RSVP via CougSync. It is never too early to think about writing your personal statement! Open to all professions. Do not wait to be invited for a professional school interview before practicing! If you are applying this season, this is for you. We suggest attending Interview Basics Workshop prior to this, and wearing your interview business professional outfit to the Small Group Interview (SGI). This workshop gives you the opportunity to practice your interviewing techniques. In these small and friendly group environments, you can learn from immediate feedback, and by listening to how others answer questions. A maximum of five (5) students are permitted in each session. This workshop is targeted for 1st year and Sophomore Pre-Medicine students and will provide general information about the Pre-Medicine track at WSU. The presenter will cover timelines and checklists for working towards your medical school application and tools and tips for gaining various experiences and activities. Medical school applications are complicated and you can make it easier for yourself by gaining and logging experiences as a 1st year and sophomore student. Students can choose to attend one of these workshops in place of a one-on-one advising session for the Spring 2018 semester. However, students who attend this workshop are still able to make a one-on-one advising appointment if they would like to. Please RSVP for this workshop via CougSync. This workshop is designed for juniors and senior who are planning to apply to osteopathic medical schools in 2018. The presenter will discuss the application timeline and fees, completing the AACOMAS and secondary applications, and the essays you will need to write. The presenter will walk you through the different sections of the AACOMAS application with a step-by-step PowerPoint presentation. Please RSVP via CougSync. Workshop offered: Twice per semester in the Spring semester. Audience: Junior and Senior Pre-Medicine students. This workshop is designed for juniors and senior who are planning to apply to dental schools in 2018. The presenter will discuss the application timeline and fees, completing the ADEA AADSAS and secondary applications, and the essays you will need to write. The presenter will walk you through the different sections of the ADEA AADSAS application with a step-by-step PowerPoint presentation. Please RSVP via CougSync. This workshop is designed for juniors and seniors who are planning to apply to allopathic medical schools in 2018. The presenter will discuss the application timeline and fees, completing the AMCAS and secondary applications, and the essays you will need to write. The presenter will walk you through the different sections of the AMCAS application with a step-by-step PowerPoint presentation. Please RSVP via CougSync. Are you applying to Medical, Dental or Physician Assistant programs soon? In this interactive workshop, you will learn about the core preprofessional competencies that admissions boards are looking for in applicants and how to write about your experiences and activities in a reflective and thoughtful way. Please bring along a copy of your resume and/or activities/experiences log to ensure that you get the full benefit out of this workshop and please RSVP via CougSync. This workshop will give you an excellent head start on your application! This workshop if for pre-nursing students who are applying for admission to the WSU College of Nursing in the current application cycle. The process will be discussed for the Nursing CAS system including tips on how to fill out the application, how to order transcripts, the overall timeline, etc. Workshop offered 2-3 times during each application cycle. This workshop is for pre-nursing students who have applied to the WSU College of Nursing for the current application cycle and have been invited for an interview. We will go over what to expect, sample questions, and offer simple tips on the interview process. Workshop offered 2-3 weeks before each interview date. This workshop is designed for juniors and seniors who are planning to apply to occupational therapy programs. The presenter will discuss the application timeline and fees, completing the OTCAS and secondary applications, and the essays you will need to write. The presenter will walk you through the different sections of the OTCAS application with a step-by-step PowerPoint presentation. The OT Application Workshop is offered twice per semester in Fall & Spring. Appropriate for juniors and seniors. This workshop is targeted for 1st year and Sophomore Pre-Dental students and will provide general information about the Pre-Dental track at WSU. The presenter will cover timelines and checklists for working towards your dental school application and tools and tips for gaining various experiences and activities. Dental school applications are complicated and you can make it easier for yourself by gaining and logging experiences as a 1st year and sophomore student. Students can choose to attend one of these workshops in place of a one-on-one advising session for the Spring 2018 semester. However, students who attend this workshop are still able to make a one-on-one advising appointment if they would like to. Please RSVP for this workshop via CougSync. Offered twice each spring semester. All students applying to pharmacy school for upcoming cycle should attend one of these. We will cover completing PharmCAS and supplemental applications; Early Decision and regular application deadlines; the PCAT; writing your essay; approaching faculty to request letters of recommendation; practicing your interview; and how pharmacy schools make their final decisions for admission. Get the inside scoop on how to approach the profession of pharmacy, and to be a successful candidate for admission to pharmacy schools. Find out what you can be doing right now to enhance your chances for admission. For new incoming students, or those new to the notion of wanting a career in pharmacy. This workshop is designed for juniors and seniors who are planning to apply to physical therapy programs. The presenter will discuss the application timeline and fees, completing the PTCAS and secondary applications, and the essays you will need to write. The presenter will walk you through the different sections of the PTCAS application with a step-by-step PowerPoint presentation. PT Application Workshop is offered twice per semester in Fall & Spring. Appropriate for juniors and seniors. Students learn exactly what to expect from the Pre-Admit Application. We discuss each section of the application and helpful tips/instructions (explanation statement, academic history, eLORS, experiences, achievements, and personal statement). The goal of this workshop is to prepare students for the application process and proactively offer resources, instructions, and tips. Come learn all about the Honors Pre-Admit Program, including the application timeline, admissions criteria and what’s expected if you are provisionally accepted. If you are planning to apply to veterinary school this cycle, then you need to begin preparing to complete your application now (generally during your junior year). We will discuss: researching veterinary programs, GRE preparation, finishing your pre-requisites, completing the experience portion of the application, talking to references, and when/how to begin filling out your application. Students learn exactly what to expect from the VMCAS Application. We discuss each section of the application and helpful tips/instructions (Transcript request, transcripts entry, explanation statement, academic history, eLORS, Experiences, Achievements, and supplemental questions). The goal of this workshop is to prepare students for the application process and proactively offer resources, instructions, and tips for areas of the application that can be a bit confusing. If you are hoping for an interview with a College of Veterinary Medicine, please attend. We will discuss the types of questions to expect and how to prepare.